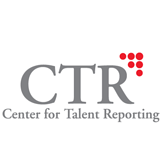 Caveo Learning CEO Jeff Carpenter and our client development leadership team will be attending the Center for Talent Reporting's 2018 Annual Conference, February 19–23 in Dallas. The aim of the fifth annual CTR conference is to increase knowledge and understanding of the measurement, reporting, and management of human capital, with a focus on learning and development. Conference attendees will learn about the latest trends and challenges facing in L&D. Unlike other L&D conferences, CTR focuses specifically on measurement, reporting, and management. According to conference organizers: "We invite only the top people in the field as speakers and panelists. There are no vendor presentations. Our relatively small size (100–150) better enables you to ask questions and interact with the speakers and other participants." As a sponsor of CTR and the annual conference, we have a small handful of complimentary guest passes. If you'd like to attend, please email info@caveo.com and we will set up your registration. Jeff and our client development team look forward to seeing you there and discussing Talent Development Reporting principles (TDRp) and your data-driven learning needs.